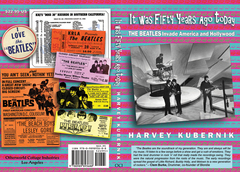 (PRLEAP.COM) July 11, 2014 - Harvey Kubernik is well-known in the trade, especially to West Coast music mavens, as one of the top go-to guys for articles dealing with pop stars, record producers and engineers, bands, individual musicians, singers, songwriters and DJ's, so it's not surprising that his book, "It Was 50 Years Ago Today THE BEATLES Invade America and Hollywood" (2014, Otherworld Cottage Industries), exploring the under-reported Beatles relationship to Hollywood should raise his profile in this nostalgic 50th anniversary year of Beatlemania celebrations. In Roy Trakin's review in HITS magazine, he writes that "Kubernik's focused, tirelessly completest approach to the Fab Four's Hollywood connection offers firm proof how important this town was to their eventual world conquest." 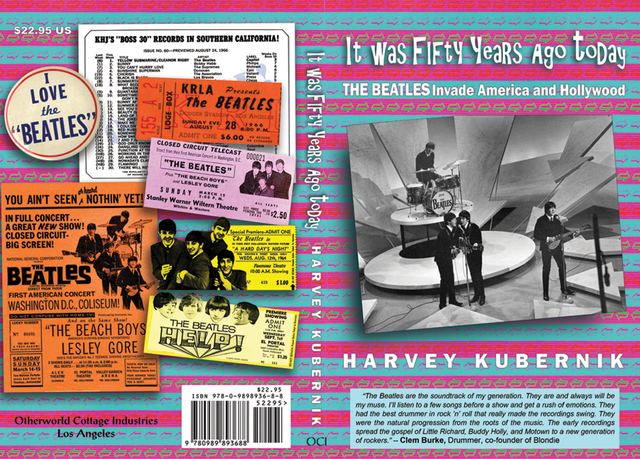 In Jim Kaplan's review of the same book, the cover story of the May-June issue of Record Collector News, he writes "Los Angeles native and Pop and Rock music historian Harvey Kubernik has been an active journalist for over 40 years, publish six books, penned thousands of articles and has been acknowledged in over 150 books… Harvey's book is a very important look at the Beatles and the band's previously unexamined relationship to the musical heritage of Los Angeles and Hollywood from the late-1950s to mid-'70s." (Since then, Kubernik's cover story for the July-August issue of Record Collector News, posted at www.recordcollectornews.com, features Harvey's non-Beatles related interview with Graham Nash, in which they discuss the brand new CSN&Y 1974 CD/DVD boxed set. Which brings us to "Turn Up The Radio!," (2014, Santa Monica Press), Kubernik's second book this year, of which Peter Larson, staff writer for the Orange County Register wrote, "The book is filled with stories and photos of L.A. home-grown legends such as the Beach Boys, the Doors, the Byrds and the Mamas and the Papas. But it also includes acts such as Arthur Lee and Love, East Los Angeles legends The Midniters, the Little Richard-esque duo Don and Dewey and dozens more. And, in the area that most distinguishes it from nearly every other book on the L.A. music scene, Kubernik focuses attention on the behind-the-scenes maestros, producers such as Phil Spector, Sonny Bono, and Kim Fowley, influential radio DJs such as Dave Hull, Art Laboe, and B. Mitchell Reed, as well as studio owners, recording engineers and music publishers and promoters." In Michael Fremer's book review for AnalogPlanet.com, he writes " For those of us who cannot separate the music and the musicians from the recordings and the records, and the recordings and records from the engineers and the studios themselves, this book is a concentrated dose of "wow." And Kubernik's book just received a Four Star, Fred Dellar review in Mojo Magazine. Harvey has had his finger on the pulse of the Southern California music scene for 40 years, which is why in the May 5th BlueRailroad.com magazine, Paul Zollo reprinted Kubernik's 1996, HITS Magazine interview with Allen Ginsberg, a shorter edited version of which appeared in The Los Angeles Times Calendar section on April 7, 1997 when the daily newspaper asked Kubernik to pen one of the tribute stories on Ginsberg when he died. And speaking of Paul Zollo, he and Kubernik were recently interviewed in the Culver City, California offices of National Public Radio by producer Paul Ingles for a 30 minute discussion about the Beatles "Rubber Soul" album that will be broadcast nationally in late October. And as for tribute stories, Roy Trakin recently called on Kubernik for memoir essays for The Hollywood Reporter's stories about the late Casey Kasem and Bobby Womack. All this attention on Harvey Kubernikj has been good for Otherworld Cottage Industries. 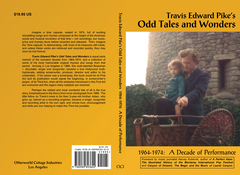 We published both Kubernik's Beatles book and "Travis Edward Pikes Odd Tales and Wonders 1964-1974 A Decade of Performance," for which Kubernik wrote the introduction. And Kubernik has interviewed Pike twice — first on November 22, 2013, and second on June 3, 2014 — which we'd like to think means Pike's star is rising. Wishful thinking? Maybe. But with two spoken word albums, five music albums, a book and a 50th anniversary DVD of "Demo Derby," the short feature that played on more than 6,000 screens across the nation with the Beatles "Hard Day's Night," all released in the first year, we wouldn't be surprised to find Travis Pike, and his brother, multi-instrumentalist, recording engineer and co-producer, Adam Pike, filling some pages in Harvey's future publications.